If you're looking for the coolest Congratulations gifts, Gift Prose is really the only name you need to know. 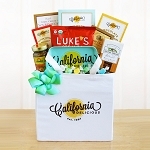 In addition to carrying the most amazingly thoughtful gift baskets, we stock sentimental presents that are a perfect fit for any occasion, at prices so affordable that you'll start looking for excuses to give gifts to everyone you know. Our selection of Congratulation gifts is ideal to celebrate any achievement, like a promotion at work, housewarmings and more. Choose from traditional congratulatory items like themed Mylar balloons, or go even warmer and fuzzier by including an adorable teddy bear. Just choose the message you want on the balloons, and Gift Prose will do the rest! 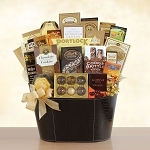 Our Congratulations Confection Collection - say that three times really fast! 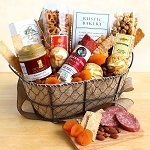 - is the ideal way to congratulate someone with a hyperactive sweet tooth, or a person who just appreciates a good snack. No matter who deserves the congratulations, they deserve a gift with some sentiment behind it, and nobody does sentimental gifts quite like Gift Prose!